Townsend Family and Cosmetic Dentistry is now using a new computerized anesthesia system called STA or Single Tooth Anesthesia. 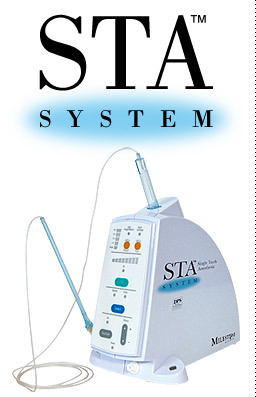 The STA system releases a precise amount of anesthesia throughout your dental procedure to insure no pain either from the injections or the work your dentist is doing. Only the area worked on is numbed!